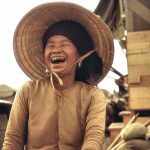 A Well for Phu Cat (published by the MWSA winter 2016 edition) - The Works of Joe Campolo Jr. I was a member of the United States Air Force from 1968 to 1972. 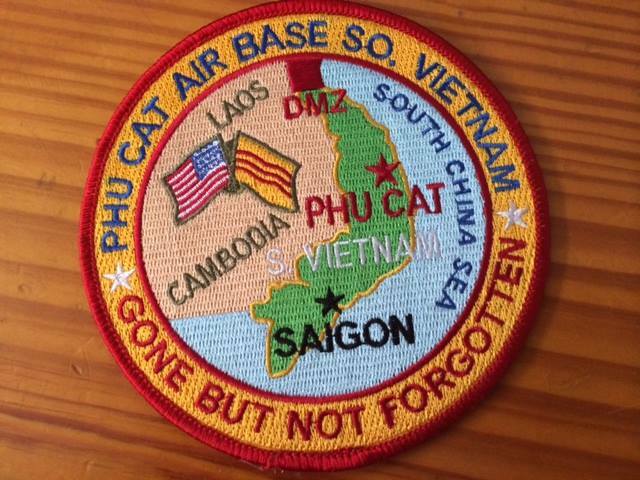 I served at Phu Cat Airbase, Republic of Vietnam from January of 1970 to January of 1971. Because I kept requesting a transfer out of supply into civil engineering, when I first arrived at Phu Cat I was assigned to a civil engineering detail headed by the Red Horse Squadron. The detail involved building a water pumping station by the river near Phu Cat so the villagers would not have to hand carry water from the river in buckets, as they had been doing. A dangerous endeavor, particularly after the sun went down. Unfortunately, because of Vietcong intervention that project ended in disaster and was subsequently canceled. The Civil Engineering squadron soon redeployed to Bien Hoa and as I had no acquired skills as of yet, I was transferred back to supply and remained at Phu Cat. Within weeks of the incident, the Phu Cat village chief started pestering the base commander again. The village needed running water. In time, a solution was developed; a well would be drilled by the main gate at the Phu Cat airbase which was on the northern edge of the village. Since the main gate was heavily guarded twenty four hours a day, the risk from Vietcong sabotage would be greatly reduced. Soon U.S. Air Force maintenance teams were hard at work. They drilled the well, built an open-air shelter around it, tested it and released it for use. A formal dedication ceremony with base and village leaders was planned. However the first morning after completion, before the dedication ceremony was to take place, an older village woman walked purposely out to the new well, with several younger women and children in tow. U.S.A.F. personnel on hand watched with curiosity, expecting her to be the first customer to collect a nice fresh bucket of water. To their astonishment, the old woman entered the shelter, scooted her black pants down, hopped on the well and defecated. About half the men on hand started yelling, while the other half roared with laughter while cheering the old woman on. A call was placed to the engineering squadron, who immediately arranged a meeting with village elders. The elders were ordered to instruct all villagers what the well was intended for, and how to properly use it. A sign was put up with a picture of a person defecating in the well with a large black slash through it, intending to convey what NOT to do in the well. After getting bleached out, the well was released to the village and soon villagers began using it for its intended purpose, although according to rumor the old mama-san would sneak in at night and use it as her private toilet. As for myself…I made it a point never to drink from it! Bird bringing in replacements and Charlie follows down the runway with RPG’s. Then they wait for the turn-around with troops leaving and do the same thing. Had to leave the dispatcher desk and deliver ramps to the plane as everyone else took cover. It wasn’t often but possible every time we had incoming troops. I have respect for all the personnel that had the trenches duty, the looks on their faces as we processed them for departure. Some I see to this day. Regardless of branch of service, I am proud of all my Brothers of The Nam, thank you. Good to hear your thoughts Wayne. I also respect all those who served. We all had a job to do. Glad you enjoy the stories! 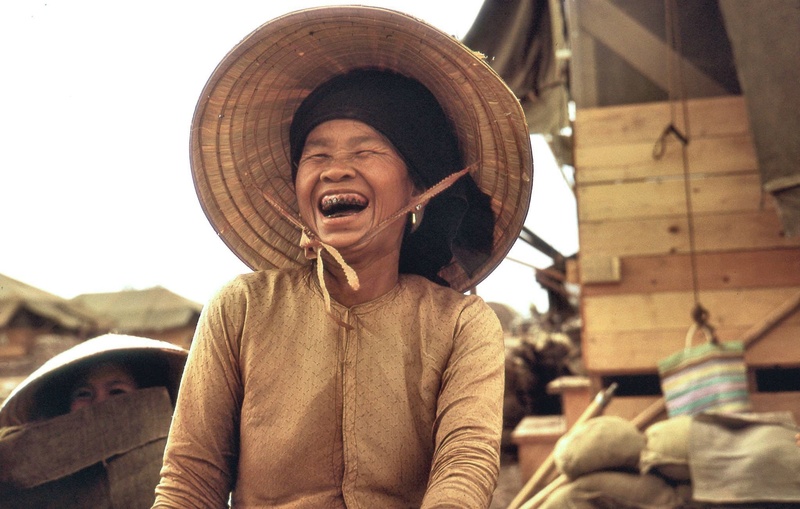 Why don’t you return to Vietnam with us and see if we can find your well. I’ll bet some of the older villagers still remember how the Americans helped them. We are a non-profit Vietnam veteran tour company (we pay no salaries). Drop me a note and I’ll send the particulars. Thanks for your service. Thank you for the kind offer Bill. Please do send me the details of your program. 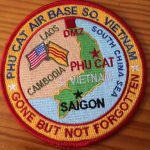 Joe I was stationed in Phu Cat in 71 I’m going to ask you about why a bunch of veterans from phu can not find pins and patches of Phu Cat Vietnam.I was with 12th combat support group. Everytime some vendors come to t5he v.a. in Albuqueque I can ever find any pins or patches of Phu Cat it doesn’t matter where I look, it just seems to me that the base never existed. If you know anything on how to get pins or patches of Phu Cat let me Know. Thank You Wilfred Romero Buck Sargeant sorry about about the misspelled words . the years have gottened to me. EDIT: Wilfred; there are some items on ebay you can purchase relating to Phu Cat.